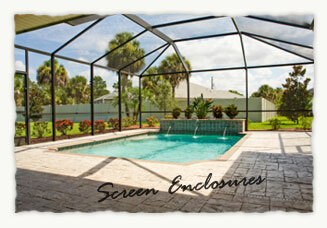 Enhance Companies can custom build a screen enclosure for your pool or patio that will fit both your needs and budget. Avoid outdoor pests like mosquitos while escaping the Florida heat inside a custom built quality pool enclosure by the Enhance Companies. We will help you plan your project from start to completion. We can also assist in your home owners association's approval process and obtaining a permit from the county.